Disney is committed to being an upstanding corporate member of society and a positive influence on children — that was Chairman and CEO Bob Iger’s message during Thursday’s shareholder meeting, when he agreed to ban smoking in all movies under his banner. “We are extending our policy to prohibit smoking in movies across the board: Marvel, Lucas, Pixar and Disney films,” Iger said, after being prompted by a critical care nurse in the crowd — who is also a Disney shareholder — during the lengthy Q&A period. Gina Schuler, the San Francisco healthcare professional, cited a 2012 Surgeon General report that found a link between children witnessing smoking on TV or in film, and then taking up the habit themselves. “But in terms of any new characters that are created for any of those films, under any of those labels, we will absolutely prohibit smoking in any of those films,” he concluded, generating applause. 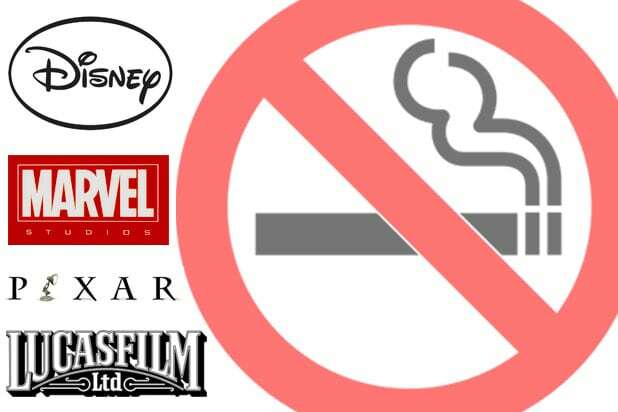 While previously Disney properties featured smoking scenes, throughout 2014 and the 2015 thus far, there have been no smoking images in any Disney film. However, 43 percent of Marvel Studios’ PG-13 and younger-rated properties depicted smoking, Schuler said. Earlier in the program, Iger and his team announced two new “Star Wars” film projects, as well as development on a sequel to “Frozen,” the highest-grossing animated movie of all time.